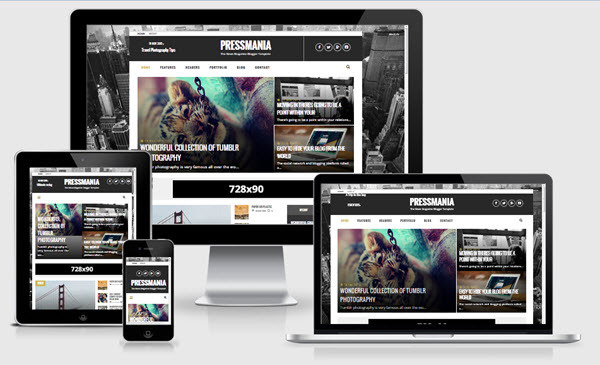 Description: PressMania Responsive Magazine Blogger Templates is a responsive magazine news blogger template for modern online magazines, news websites, professional blogs and other editorial websites. This template has built-in color options for your website header, navigation, sidebar and footer. Features: Fully responsive, Unlimited theme colors, Bx slider, Flexslider, Recent category posts, Popular posts new style, etc.